The Chianina cow is famous for the beefsteak Florentine style, prepared with the T-bone. 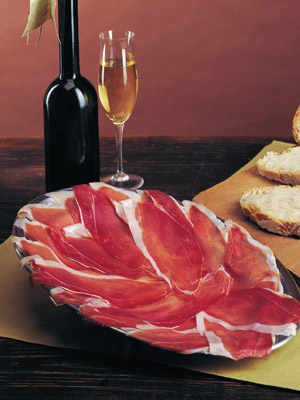 However, the other cuts are also tender and flavourful, albeit not as popular. 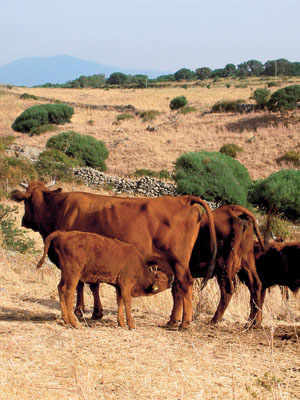 The Chianina cattle breed, indigenous to the Central Apennine, is typical of Val di Chiana, where farmers aim to maintain short food supply chains. Val di Chiana, in Tuscany, is the homeland and reason for the name of, the prized, indigenous Chianina breed, known and appreciated since the time of the Etruscans and the Romans for the beauty and prominence of its porcelain-white cows. 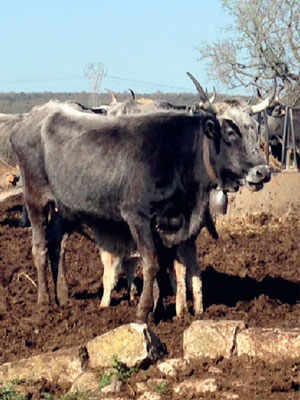 The Chianina cow is meek and an excellent beast of burden. 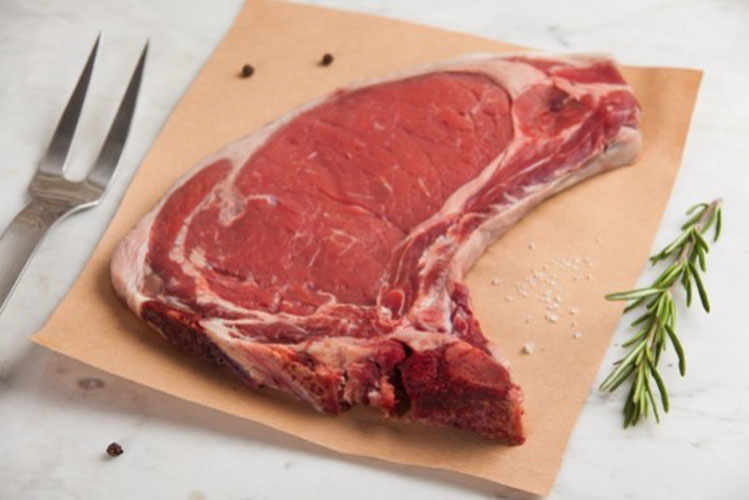 From the very meats of the Chianina cow is sourced the T-bone for the beefsteak Florentine style. The breed as we know it now is the result of a selection which began in the twentieth century. Professor Ezio Marchi, born in the hamlet of Bettolle, is considered the father of the Chianina breed and the one responsible for its genetic improvement. His studies were carried on by Professor Giuliani, who began the selection of the breed on the two farms in Bettolle, properties of Count Napoleone Passerini (Professor of Agronomy) and Count Puccio Profumo (a lawyer). 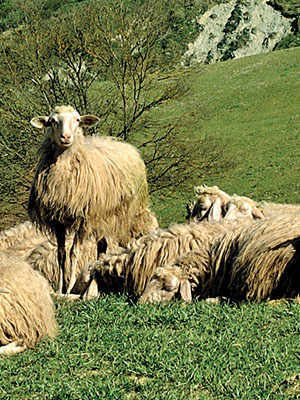 The Ministry of Agriculture subsequently extended the selection to the other farms in the area of Val di Chiana. The selection process continued over the decades with extremely rigorous scientific methods which have lead to the current, well-proportioned shape of the animal. Bettolle, in the municipality of Sinalunga, is the venue for the annual “La Valle del Gigante Bianco” (lit. “The Valley of the White Giant”), an event which is organised by the Association “Amici della Chianina” whose aim is to revive and promote the Chianina breed in its area of origin. The Chianina Cow can be easily recognised by its porcelain-white coat and its large size, which makes it the largest bovine in the world. The bull “Donetto”, from the Fratta Farm, reached the record-setting weight of 1,750kg in 1955, aged 8. Along with other breeds of central Italy, the meat of the Chianina Cow is entitled to receive the IGP (PGI – Protected Geographical Indication) branding “Vitellone Bianco dell’Appennino Centrale”, the only branding recognised by the European Union. Each cut of meat is branded with a mark referencing a table on display in the shop, which allows the buyer to know where and when the animal was born, its name and gender, its registration number and date of preparation of its meat. Not only is Chianina meat lean, but it is also the leanest type of beef, with a fat content of 2% and an extremely fine marbling. The external fatty layer allows the meat to become tender with a shade of brown on the outer part, at 1-2°C in a refrigerated cell for 25 days. The slow process gives the Chianina meat its distinctive tenderness, especially in the T-bone, which is used for the beefsteak Florentine style. The other cuts are less known, but as valuable and tender.